The weather in Los Angeles this weekend is stunning. The temperature is mild, there’s a cool breeze, and not a cloud in the sky. However, there are three things that I can’t help but crave that would make this already beautiful day all the more better. While on vacation, I always make it a point to find street food and vendors that represent what locals would eat. Whether it’s Japanese takoyaki, Thai chicken satay skewers, or even just some pan dulce while walking around in Mexico– these street snacks are often very inexpensive and very, very good. 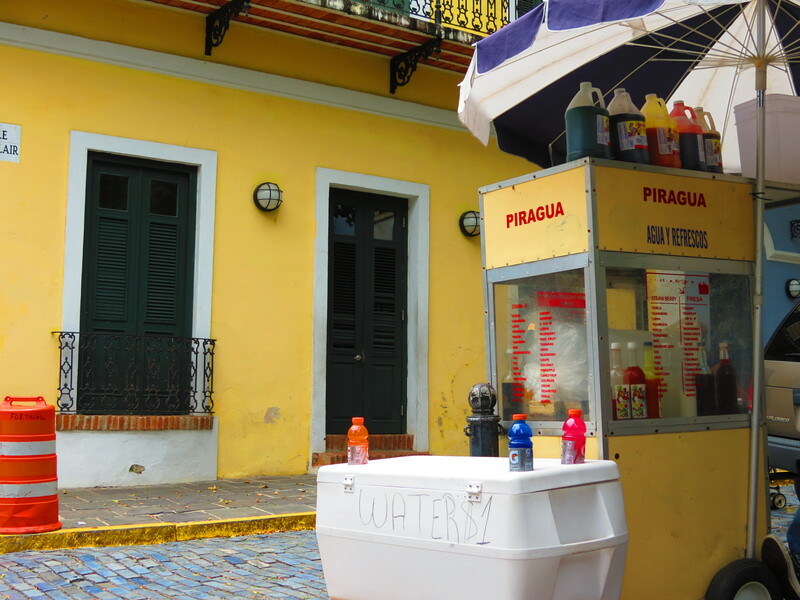 One of the first things we had when we got into San Juan was shaved ice from a street vendor parked near the historic San Juan Gates. 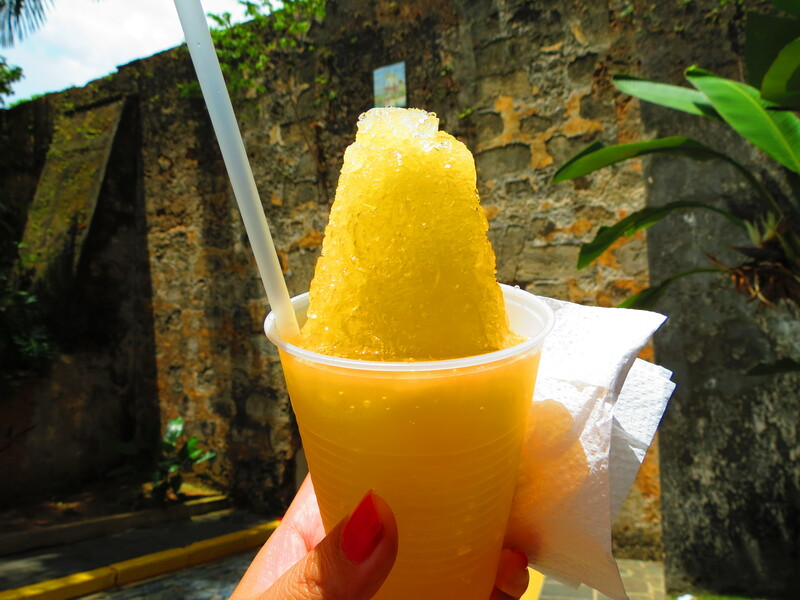 For $2 we got this large shaved ice topped with the most delicious passion fruit syrup (pictured above). The other two snacks we had were their quesitos and their rellenos de papa. As I mentioned in my review of Mofongos in North Hollywood, rellenos de papa are basically fried mashed potato balls filled with seasoned ground meat. I repeat: fried mashed potato balls filled with meat! At about $1.50, this tennis ball-sized snack was super comforting. 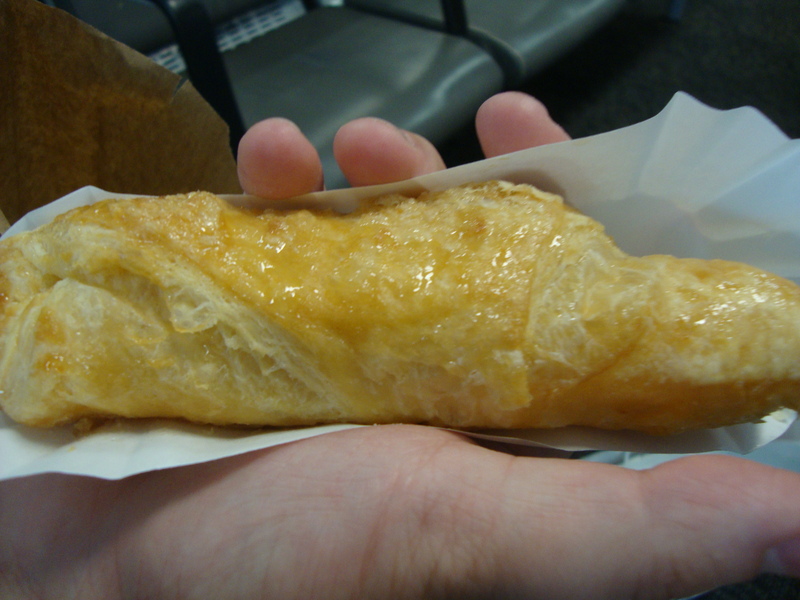 As a sweet treat, the quesito, which was flaky pastry filled with cream cheese was also a good mid-day pick-me-up. 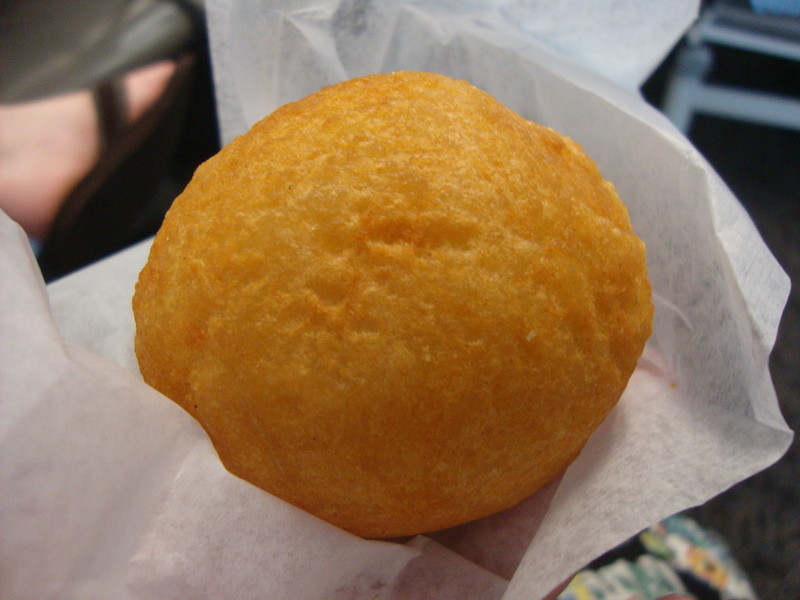 Looks like I’ll need to schedule a trip to Porto’s or Mofongos to get my fix!